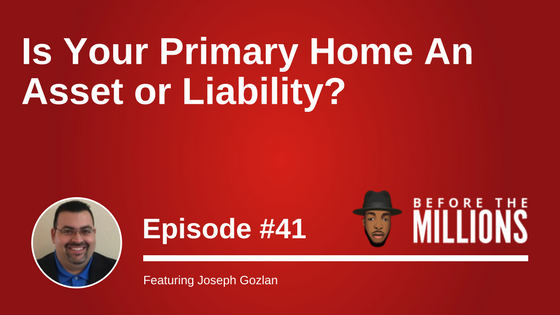 Is your home an asset or liability? Find out on today’s show. We had the pleasure of interviewing multifamily investment specialist, Joseph Gozlan. In our conversation, we learn more about multifamily properties, the pitfalls of single family investing, and how individuals can participate in multifamily investments with their retirement dollars. Joseph, the founder of EBG Acquisitions. Leading group acquisitions of over $10MM in real estate and providing asset management services to a portfolio of 156 units and growing. Joseph has over 17 years of experience in the software industry, 12 of which working for publicly traded companies such as GameStop and JCPenney which enhanced his business acumen, analytical skills and “big picture” perspective, all skills that he leverages in his real estate business. We spend a good amount of our conversation explaining how and why you may want to view your primary home in a different light..